Five Dogs in Dallas. Done. Gadora sent the last of the five 8×10 Animal Prints to Dallas. Meet Gizmo and Sally. Sally’s posthumous Animal Print was a slight challenge. 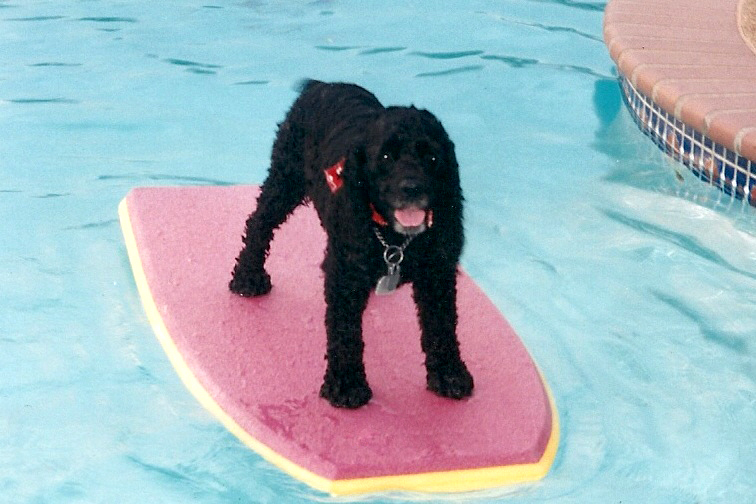 Her pics were taken before digital cameras made snapping a breeze, and she was slightly blurry on her surf board. 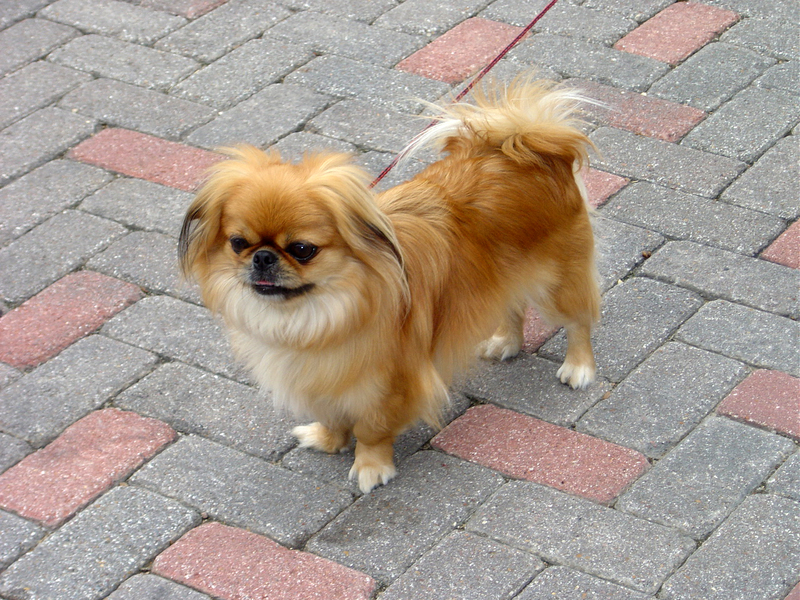 In person, Gadora painted slight grays and deep browns in her coat, along with her shiny black. 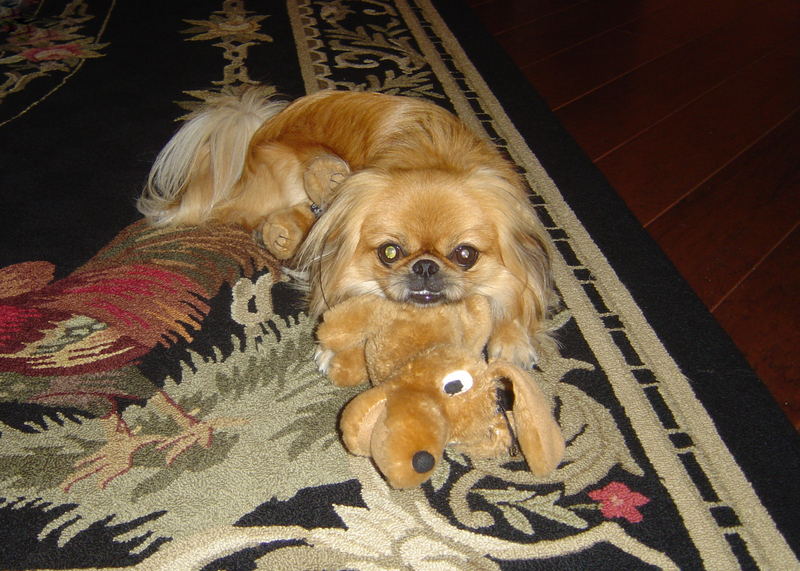 The challenge with Gizmo was only to make Giz more prominent than his favorite toy. 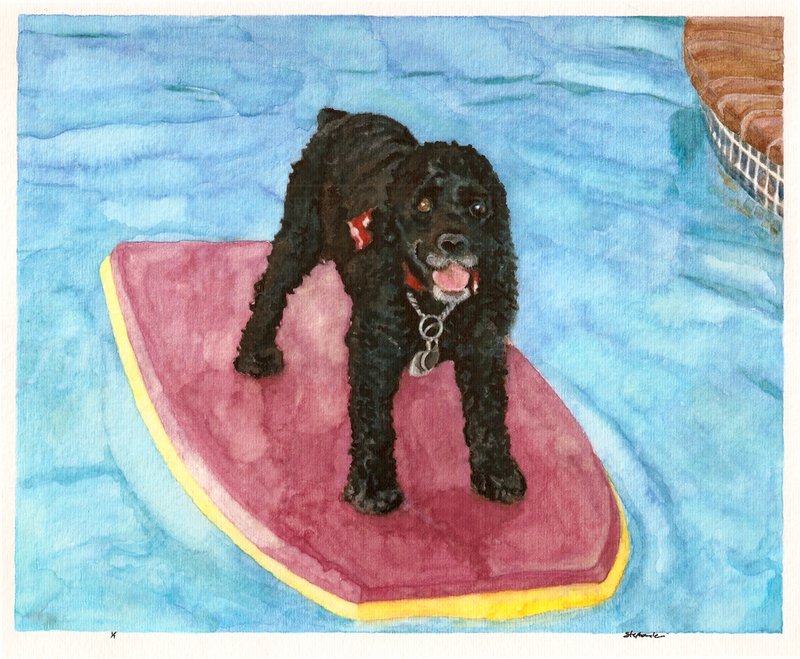 Along with Sally’s scanned pics Marissa sent, “I love the ones of Sally on the surf board and with her ball, because swimming and playing fetch were her two favorite things.” She was a pretty girl. 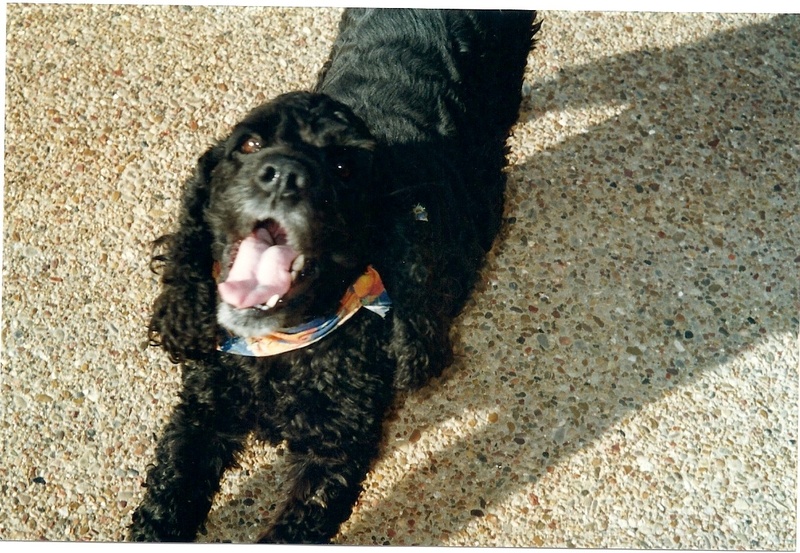 To see the rest of the Animal Prints in this 5-dog series, click here. 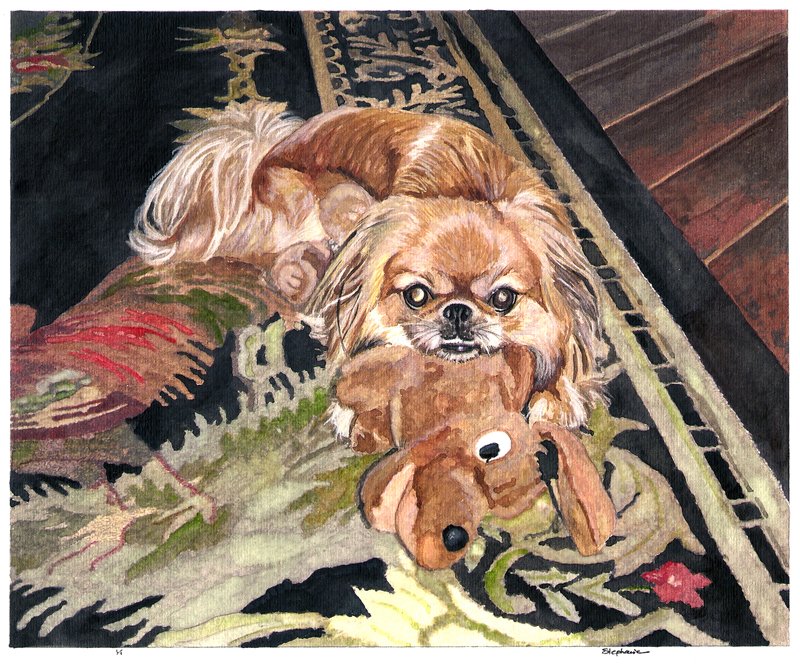 Posted on May 31, 2010 November 7, 2012 by gadorawilderPosted in ANIMAL PRINTSTagged animal print, Cocker Spaniel, Pekingnese, water color. WE love them! We are trying to figure just how to hang all of them now!